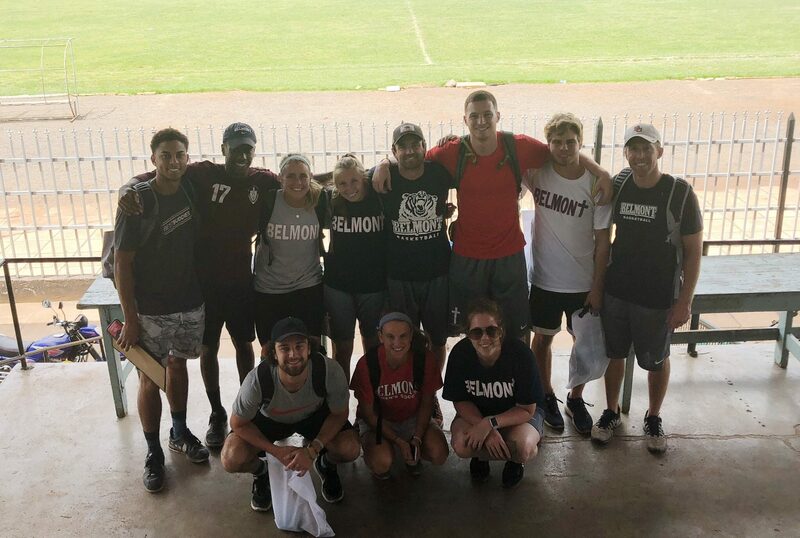 A group of Belmont student-athletes and administrators recently returned from Kenya as part of the Bruins’ annual mission trips. Belmont Coordinator of Academic Services & Sports Ministry and men’s basketball assistant coach Mark Price led a group to Nakuru, Kenya last May, and the Bruins returned to the same sites this year to continue the work, relationship-building and discipleship. Joining Holm were Tyler Holloway, Dylan Windler and Kevin McClain from men’s basketball; Creaghan Diekema, George Bukenya, and Matt Vuylsteke from men’s soccer; Niki Clements, Emily Whitcomb and MacKenzie Firek from women’s soccer; and Maggie Mullins from volleyball. During the trip, the group played with children at a group home operated by Streets of Hope, an organization devoted to caring for children forced to fend for themselves on the street. Many of these children are under the age of ten and have lost their parents to the ever-increasing problem of AIDS. Others are homeless due to extreme poverty. In addition to playing sports and talking with the youth, the Bruins also worked in the garden of a local high school and planted trees at a Streets of Hope home. This and other Belmont service projects are made possible through The Betty Wiseman Mission Fund, established in honor of the Belmont coach emeritus to benefit domestic and overseas mission work.